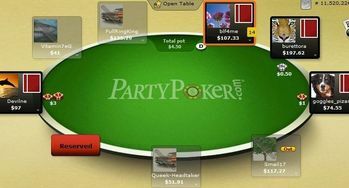 Bwin.party digital entertainment has made another bold move as Internet poker in the U.S. grinds out a slow comeback. The online site has agreed to partner with California’s United Auburn Indian Community (UAIC) in anticipation of licensed and regulated online poker in the state, according to a press release. A bill to authorize the game is currently working its way through the legislature. U.K.-based bwin.party has also submitted paperwork to participate in Nevada online poker and would run its software there on behalf of MGM Resorts. UAIC controls the Thunder Valley Casino Resort near Sacramento, California. The operating agreement between bwin.party and UAIC would be for 10 years. Online poker has not been legalized at the federal level, but thanks to a Department of Justice ruling in December 2011, some states have proceeded to pursue intrastate offerings.